If you like to buy silver with historic US coin designs, you probably look to bullion coins with these iconic designs. However, these coins often have high premiums and low availability. To get your hands on iconic designs like the Incuse Indian, Golden State Mint answers the call with regularly struck silver rounds bearing these impressive designs. 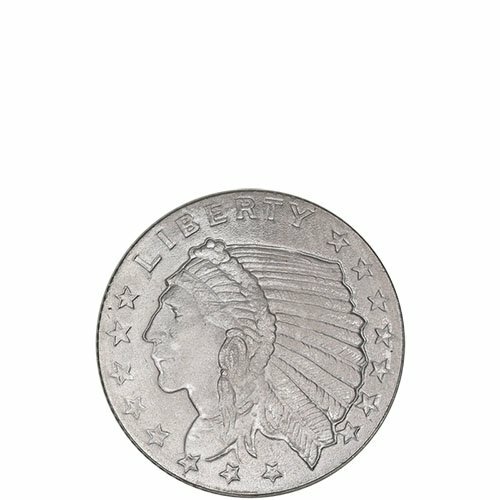 The 1/10 oz GSM Silver Incuse Indian Round is currently available to you online at Silver.com. Ships to you in individual protective flips or tubes of 50 rounds! Recreates the historic Incuse Indian design! On the obverse of the round is the Incuse Indian design from 1908. 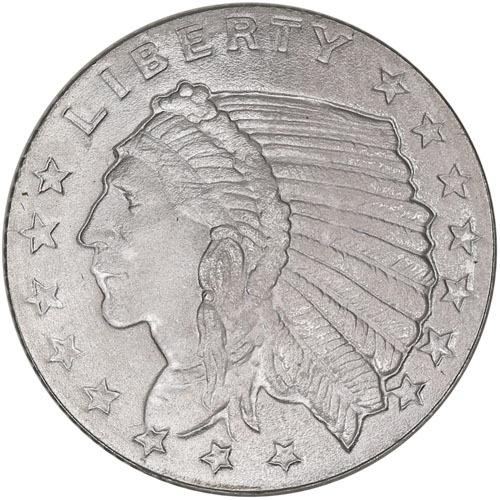 The reverse face of the round includes the American bald eagle design. Both images from Bela Lyon Pratt. In 1907, Augustus Saint-Gaudens designed the first new coin image for American gold coinage as requested by President Theodore Roosevelt. However, Saint-Gaudens would pass away before he could completely redesign American gold coinage. He did develop the Indian Head Eagle for the $10 Gold Eagle and Liberty for the $20 Gold Double Eagle. Following Saint-Gaudens’ death, Bela Lyon Pratt was commissioned to pick up where he left off in revamping American coinage. Pratt developed the Incuse Indian Head design you’ll find on these 1/10 oz GSM Silver Incuse Indian Rounds. Pratt’s imagery featured on the Quarter Eagle coin from 1908 to 1915 and 1925 to 1929, and on the Half Eagle from 1908 to 1916 and in 1929. On the obverse of the 1/10 oz GSM Silver Incuse Indian Round is the design originally featured on the Quarter Eagle and Half Eagle gold coins. This left-profile portrait of a Native American tribal leader features the figure wearing a full headdress and is accompanied by two engravings. There are 15 stars in a half-circle below and “Liberty” above. 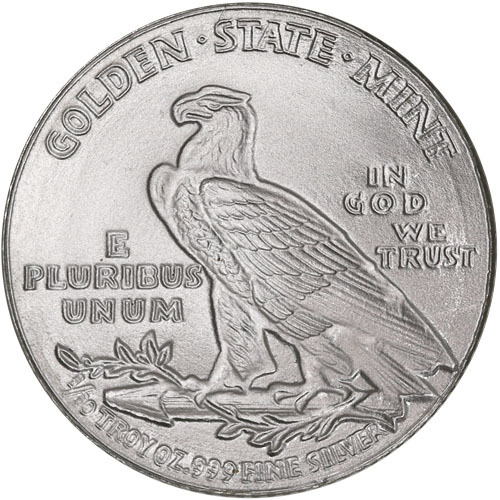 The 1/10 oz GSM Silver Incuse Indian Rounds are available to you from the private American mint known as the Golden State Mint. Opened in 1974, the mint produces a variety of gold, silver, and copper rounds with classic American coin designs. Images such as the Incuse Indian are so popular the mint must regularly produce them to meet demand!